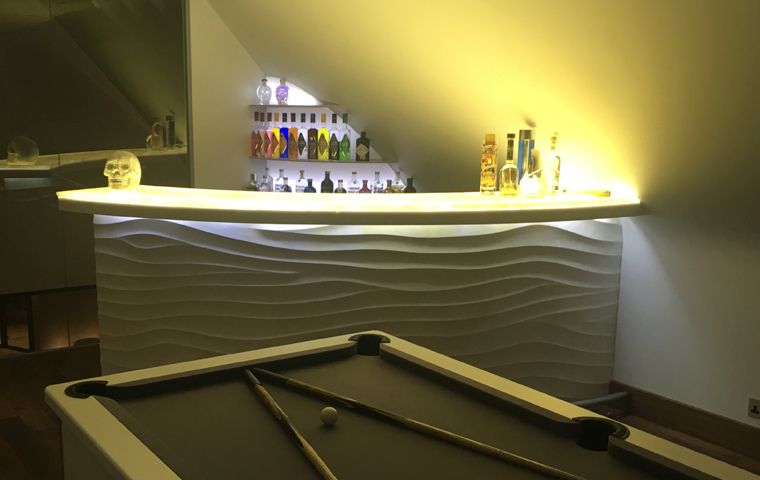 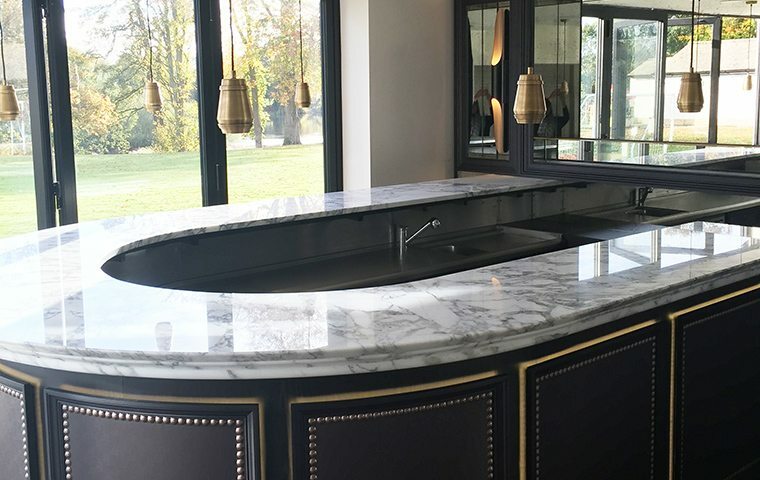 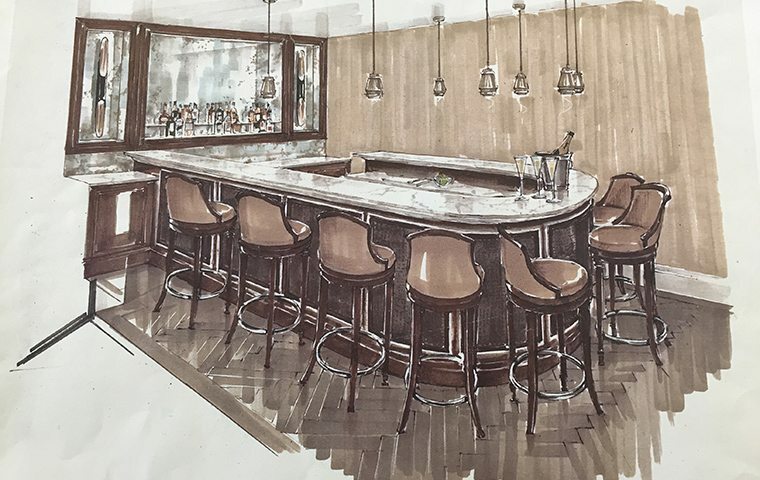 A sweeping curved horseshoe bar custom built from a hand sketch drawing. 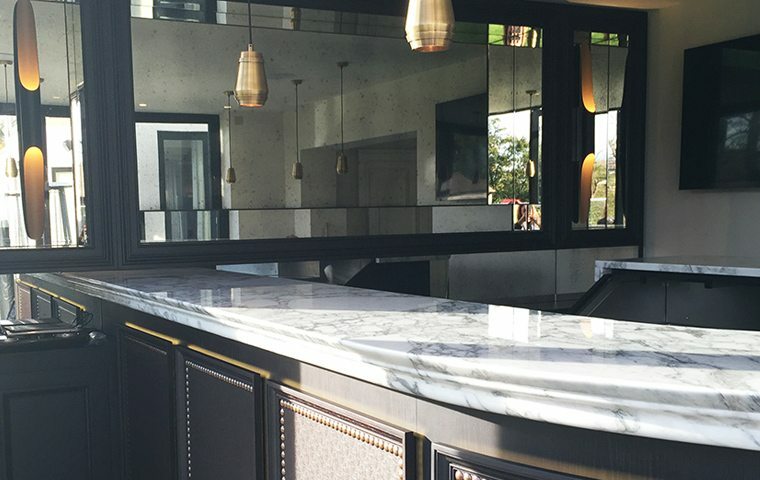 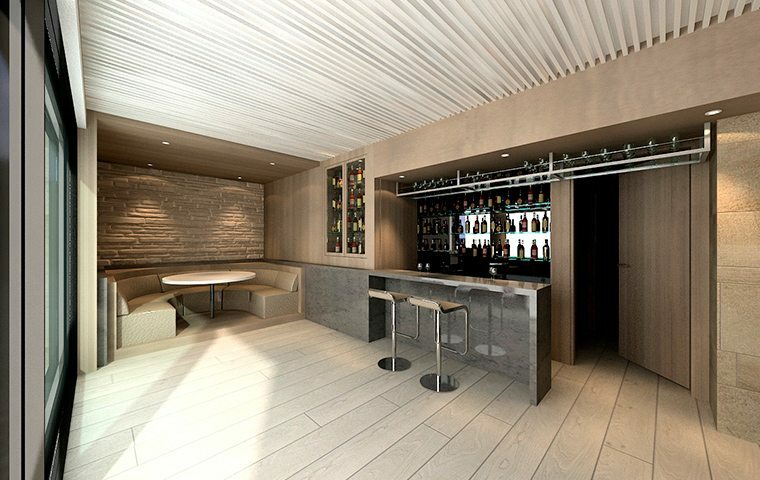 The Carrara marble bar counter contrasts perfectly with the illuminated front bar panels. 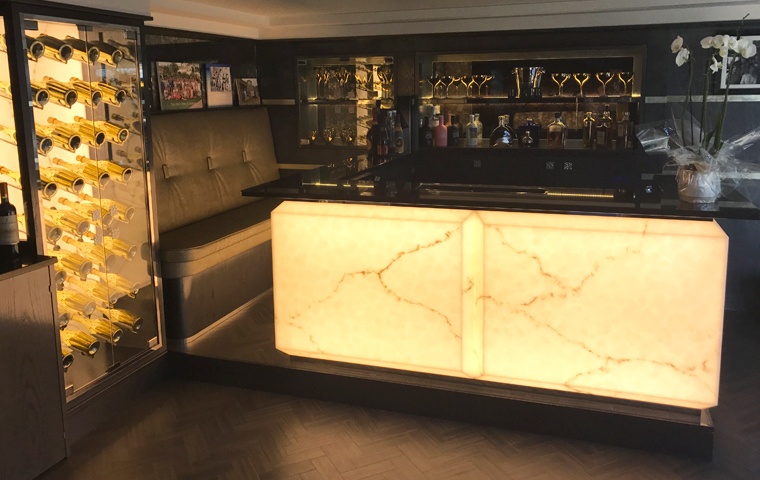 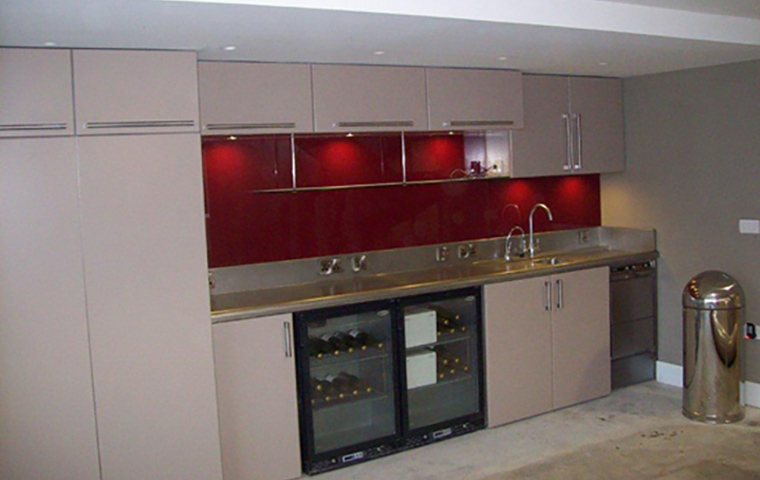 The bar was completed with a bespoke inner bar system, bottle coolers, ice makers, a glass washer and a dive in bottle cooler.